From L to R: Rachael Heyhoe Flint OBE DL (famous female cricketer, since ennobled); Rt. Hon. 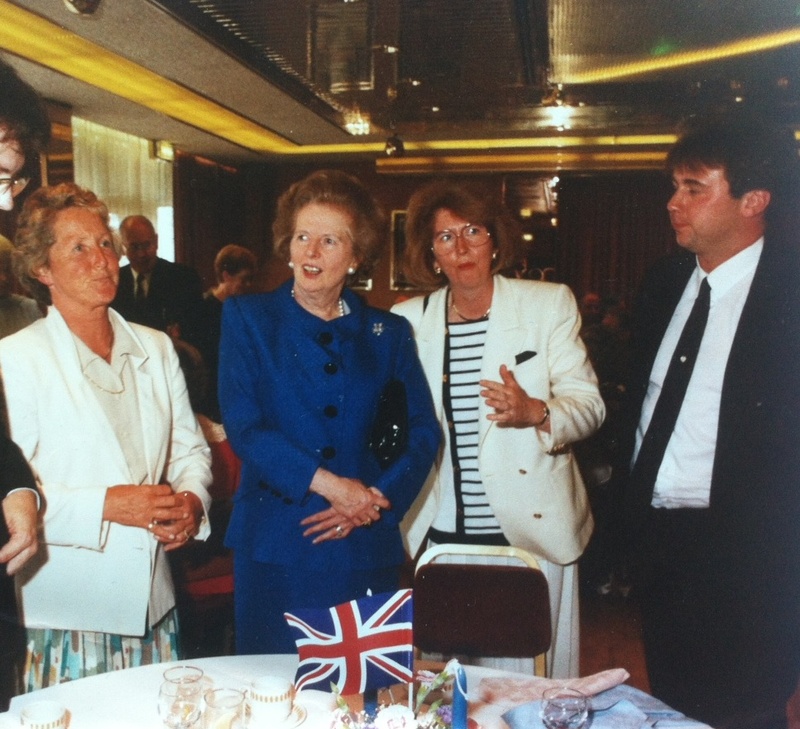 Margaret Thatcher MP, Prime Minister of the United Kingdom and Head of Her Majesty's Government; Maureen Hicks, Conservative MP for Wolverhampton North East; Calvin Smith (aged 23 then, I think... it's me, I promise), slim upstart with little education and grinning insanely. How things have changed (no longer slim, slightly better educated, but still grinning insanely! ).